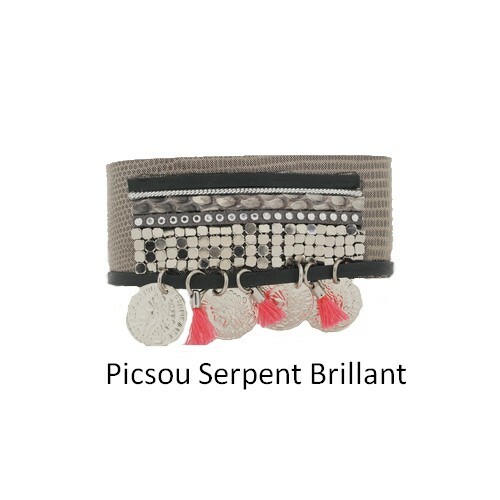 The new cuff bracelets collection is unique. A very original style for a look of the trend this summer. 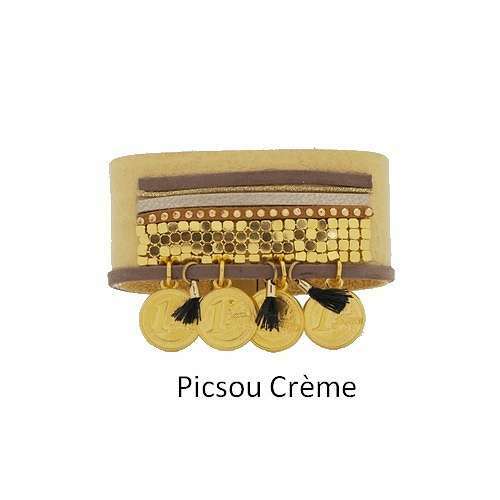 Leather Cuff sublimated charms shaped golden coins. Magnetic clasp. 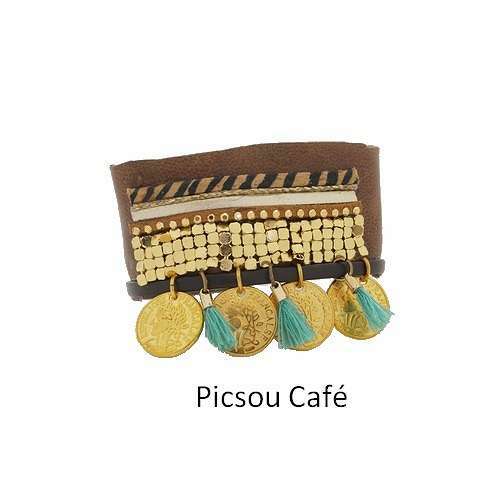 Our jewelery is designed and hand-made in France. 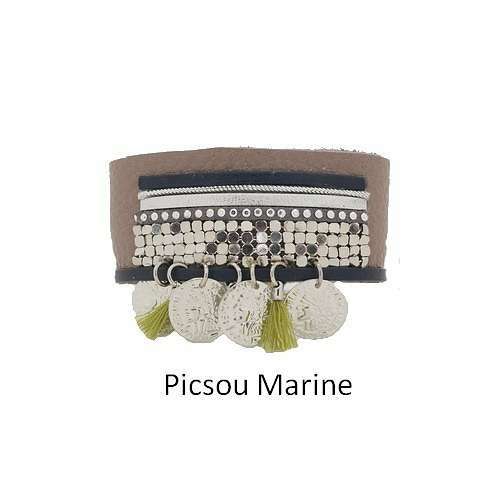 Find among this wide choice of colors, the cuff that will fit with your best summer outfit. Our leathers are originalEuropean and are finely crafted in France.